On this page you will find a variety of guitar playing articles and guitar practice tips for getting the most from your guitar practice sessions. Your guitar playing sounds awesome at any speed when your hands are in sync. 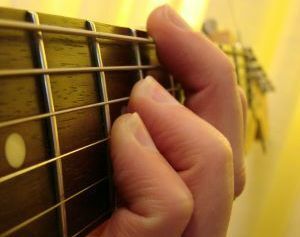 The way you practice guitar determines how tight your 2-hand synchronization feels and how easy fast playing becomes. 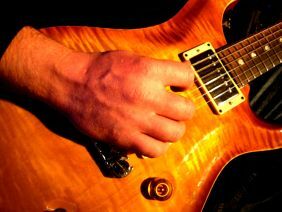 This article helps you master 2-hand synchronization for guitar. Many guitar playing mistakes only appear when you play fast and disappear when you slow down. 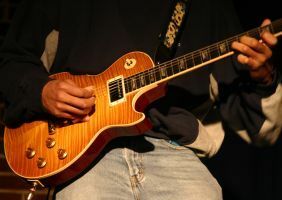 This article explains how to isolate, emphasize and exaggerate your guitar playing problems at faster speeds, so you can fix sloppy mistakes in your guitar playing. All your favorite guitar players make their playing look effortless. You can do the same when you learn to practice guitar the right way. There is a specific practice approach that makes your technique graceful and fluent, so you can play the music you want with minimum effort. Learn how to make your guitar playing feel effortless. Playing guitar fast and clean requires your hands to stay in sync for every note. This article gives you several simple drills you can practice in a few minutes per day to improve your 2-hand synchronization and make it easier to build guitar speed. The key to super efficient guitar technique is learning how to streamline your playing motions while still being able to play guitar with power and conviction when it is needed. 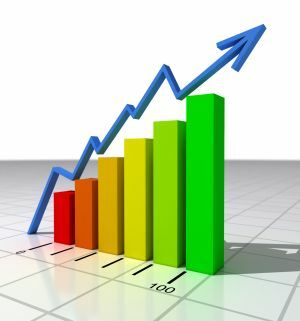 Learn how to achieve this in this article about economy of motion for guitar players. When you don't have as much time to practice guitar as you would like, the worst thing you can do is to simply 'stop' practicing and settle for little/no progress of your musical skills. In reality, you can continue making excellent progress as a guitarist, even when your time is severely limited. Read this article to learn how to practice guitar effectively with limited time. One of the reasons guitarists don’t make as much progress as they should is because they waste A LOT of time practicing things that actually slow down their progress and hurt their playing. The worst part is that many of these practice items seem beneficial to your playing on the surface until you find out the real story. Learn how to stop wasting your practice time and avoid these common guitar practice mistakes. Want to build your guitar speed in less time? Then you must let go of these common myths that so many guitar players believe in. You may be holding back your own guitar speed progress without realizing it simply due to the way you are thinking. Read this article to learn the common misconceptions about improving your guitar speed. Are You A Deaf Guitar Player? When you practice guitar, your progress depends largely on how well you can ‘listen’ to your own playing, detect mistakes and know exactly how to fix them. Unfortunately, most guitarists are hopelessly deaf when it comes to doing this correctly. How good are your ears when it comes to improving your guitar playing? 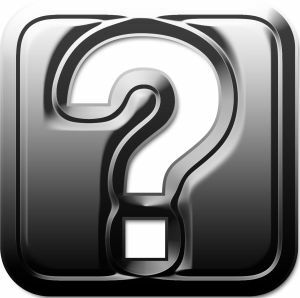 You know that it takes “practice” to become an awesome guitarist, but wouldn’t it be inspiring to have some idea you could use to turbocharge your guitar playing progress literally on the same day you apply it? 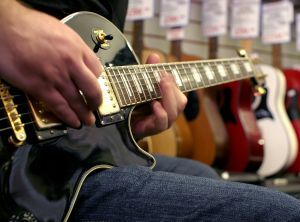 Here is not just one, but 7 of such ideas in this article on how to become a better guitarist. 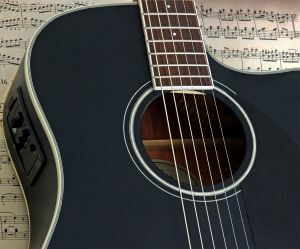 A common mystery for guitar players who want to play both acoustic and electric guitar is not knowing exactly the similarities and differences between practicing the two instruments. Depending on which type of guitar you are practicing, there is a very specific set of skills you need to develop, however both acoustic and electric guitar players need to approach the process of practicing in very similar ways. Learn the full story in this article about practicing acoustic vs. electric guitar. 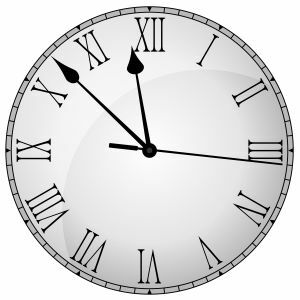 If you wish you had more time to practice guitar, the easiest way to achieve this is to stop wasting the time already have. While many guitar players “think” that they practice guitar for X amount of time per day, much of their practicing is bringing them no closer to their goals. Read this article to learn 5 obvious signs that will tell you when you are wasting your own guitar practice time and how you can finally stop holding back your own progress on guitar. Fact: You can make a lot more progress in your guitar playing by learning to use a single exercise to improve a variety of musical skills. When you learn to do this, you will make your practice time much more efficient because with each action you take you will be achieving multiple simultaneous results. Read this article to learn about the best way to select and practice guitar playing exercises. We all have a limited amount of time to practice guitar, so it is critical to know how to get the most results from your practice time. If you want to make the fastest progress in your guitar playing, there are 5 main things you must do as you approach each guitar practice session. Find out what they are in this article on practicing guitar. With the abundance of resources available on how to improve your guitar playing, it is easy to overlook learning about the things you must “avoid” doing that will hurt your potential to become the guitar player you want to be. Read these guitar practice tips on how to become a great guitarist to find out what these mistakes are and how to avoid them. Chords are a central part of playing music on guitar. Unfortunately, many guitarists struggle with making fluent chord changes while playing. When you learn how to practice chord changes effectively, you will find it much easier to play any song consistently well. 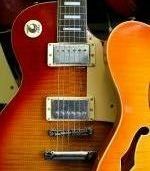 Read this article on changing chords on guitar to get the best guitar practice tips on how to do this. Many guitar players practice scales, but few can REALLY use any single scale in their music with confidence, creativity and expression. This typically happens due to not knowing exactly how to practice scales to achieve complete mastery of the guitar fretboard. Read this article (and watch the included video) to learn a highly effective way of practicing scales on guitar. As you practice guitar, you will inevitably face challenges in the process of improving your guitar playing that you will struggle with. Knowing how to get past such obstacles will make the difference between you becoming a great guitar player and you joining the unfortunate majority of guitarists who struggle year after year to improve their musical skills. 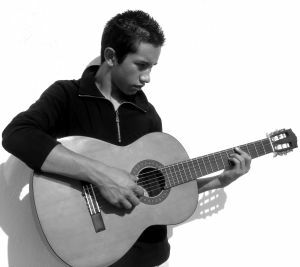 Read this article to learn highly effective guitar practicing tips for solving your guitar playing problems. One of the keys to fluent and free guitar playing is the ability to know where all the notes are on guitar and understanding where to find the notes of any cool guitar phrase you hear in your head. All great guitarists are masters of this skill, while the majority of musicians become lost when they try to find their way around the guitar. 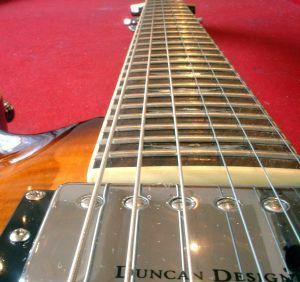 Study this article and the included video lesson to learn a very simple and reliable way to visualize the guitar fretboard. Your guitar practice schedule is one of the keys to seeing great results from your guitar practice efforts. 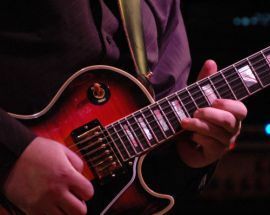 Sadly, too many guitar players do not know how to create effective guitar practice routines, preventing themselves from seeing truly powerful improvement in their guitar playing. 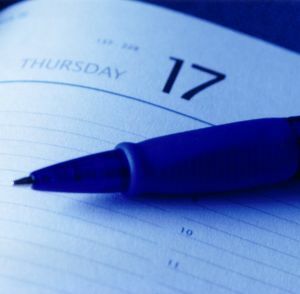 Read this guitar practice article to learn about the 6 mistakes to avoid when creating your guitar practice schedules. Once in awhile we all face periods of low motivation to practice guitar. The difference between great guitar players and everyone else is that the best musicians know exactly how to get past such periods and continue making regular progress in their guitar playing. To become the guitar player you want to be, you need to do the same. 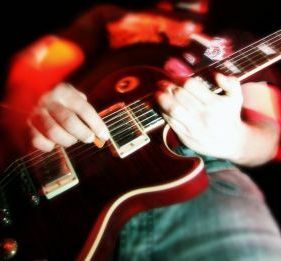 Read this article to get guitar practice tips on restoring your motivation to practice guitar. One of the most important elements of effective guitar practicing is being able to tell whether or not your efforts to improve your guitar playing are successful. 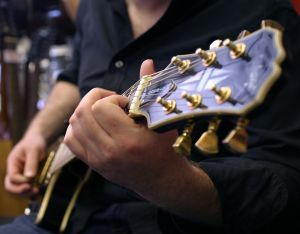 Many guitar players struggle with tracking their progress in the more intangible musical skills such as improvising or musical creativity. As a result, they can practice guitar for years and not realize that their time has largely been wasted until it is too late. Read this article to get tips on tracking your guitar playing progress to find out how to prevent this from happening to you. Want me to teach you how to practice guitar correctly?